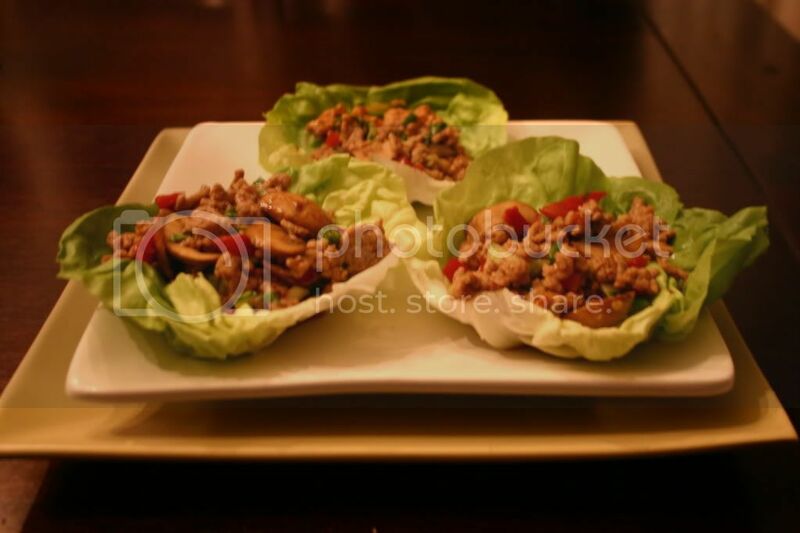 Asian lettuce wraps. Crunchy and soft. Cool and warm. Spicy and sweet. The contrasts of flavors and temperatures are what makes these little bundles irresistible. The crunch of the fresh veggies, the heat from the sambal sauce, sweetness from hoisin. I make these at least once a month and they always receive the highest compliments. They are not only delicious, but they are visually appealing as well, which is important because we eat with our eyes first. I love that I can get these from cutting board to pan to table in under 30 minutes. Wraps are great because you can fill them with almost anything your taste buds desire, and I loaded these up with lots of nutritious vegetables and mouth watering sauces. I like these wraps in particular because they work well with a variety of different veggies. Tonight I added red bell pepper, mushrooms, bok choy, and green onion. I have also used bean sprouts, chopped broccoli, edamame, and cabbage, all were scrumptious! Add oil to large pan. Heat over medium high heat. Add garlic, ginger, and white part of green onions. Cook 1 minute until fragrant. Do not let garlic burn. Add turkey and cook thoroughly, about 6 minutes. Remove turkey from pan and set aside. 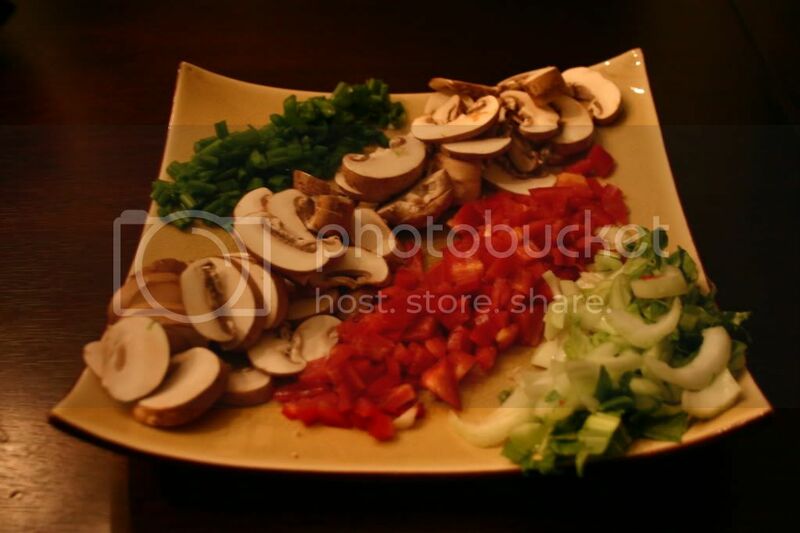 Add bell peppers and mushrooms into pan. Add soy sauce and vinegar and cook 4 minutes, or until veggies begin to soften. Make a slurry with the cornstarch and water. Add to pan and bring to a boil. Add turkey back to pan, along with bok choy. Add sambal and hoisin sauces. Reduce heat to low and simmer for 5 minutes. Add rest of green onions and serve warm into prepared lettuce cups.